We are judge. We are jury. We are monster. How could someone be racially driven to commit a murder? 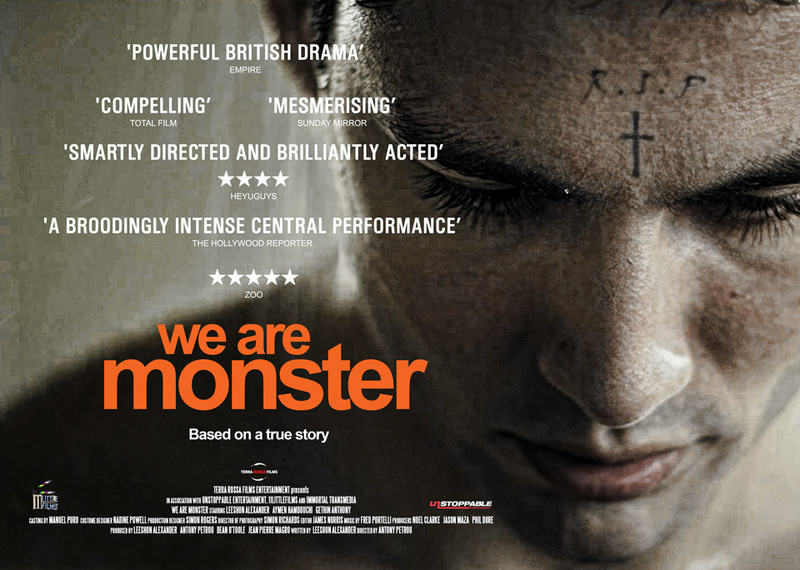 This raw, uncompromising British drama poses that question and more, as it delves into the tragic real-life case of Zahid Mubarek, an Asian teenager brutally murdered in his cell in a young offenders institution by fellow inmate Robert Stewart. Avoiding all moral judgement, the filmmakers focus on Stewart’s motivation alongside the well-researched facts of the case. The result is a powerful, unsettling, moving and enlightening drama that remains thought-provoking far beyond its running time. Directed by our very own Mr Antony Petrou and produced by 11 Little films.